Similar to the type SL-IBC Spill Bin, this unit provides a support frame which allows the IBC to be in a raised position, useful for decanting directly from the IBC, or allowing easy access for hose couplings to the drain valve. Similar to the type SL-IBC Spill Bin, this unit provides a support frame which allows the IBC to be in a raised position, useful for decanting directly from the IBC, or allowing easy access for hose couplings to the drain valve. 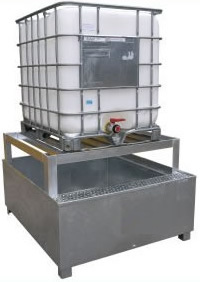 This unit is sized to suit most IBC's on the market. 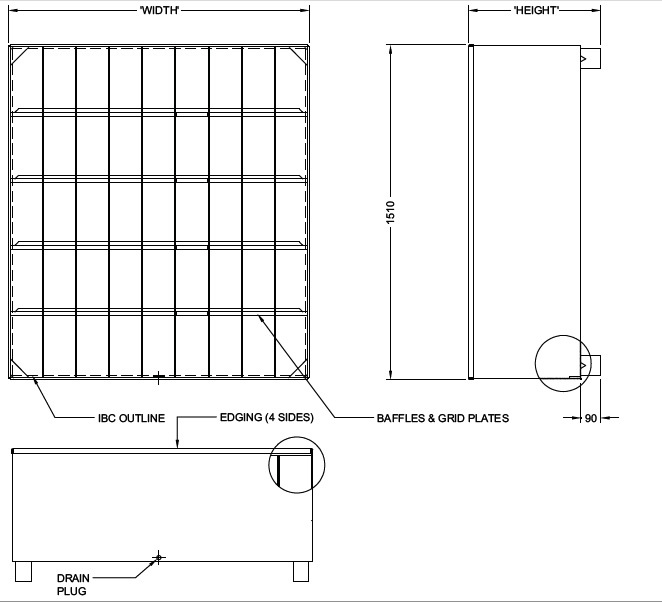 All type RS-IBC Spill Bins have a spill capacity of at least 110% of the IBC holding capacity in accordance with Australian Standards, being classified as "portable" units.